American Journal of Biotechnology and Bioinformatics (ISSN:2575-999X) is a peer reviewed open access journal publishing research manuscripts, review articles, editorials, letters to the editor in Biotechnology and Bioinformatics. Molecular Docking and Pharmacophore-Based Virtual Screening of Novel Inhibitors for HCV NS5B RNA-Dependent RNA Polymerase Enzyme from Crude Sesame Essential Oil. Professor of Immunology, Department of Applied Medical Sciences, College of Community (Unaizah), Qassim University, Kingdom of Saudi Arabia. 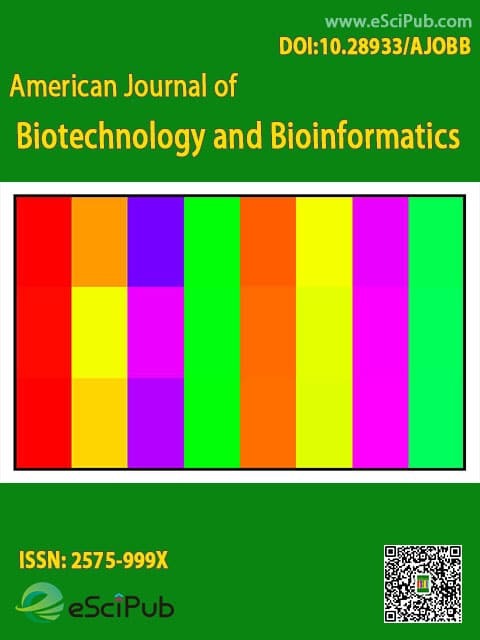 American Journal of Biotechnology and Bioinformatics is a peer reviewed open access journal publishing research manuscripts, review articles, editorials, letters to the editor in the area of Biotechnology and Bioinformatics (Indexing details). Please feel free to contact our rapid response team if you have any questions. Our customer representative will answer your questions soon. Please submit your manuscript by the form below or send it to American Journal of Biotechnology and Bioinformatics at AJOBB@escipub.com directly.